This Chicago quartet has been around for quite a while and there’s a comfort in the familiarity and consistency of their music. Their latest release, Car Alarm, is no exception. And from the buzz out there in the blogosphere, this is their best album in over a decade. I’ve been listening to their electronic grooves a lot this week. Mellow yet powerful at the same time, they are firmly rooted in Indie rock with a splash of that electronica sound I like so much. It’s smooth, well balanced, easy on the ears and layered with just enough complexity to keep it interesting listen after listen. Like a fine wine. 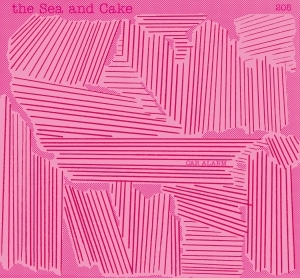 This entry was posted in Album of the Week and tagged aerial, Album of the Week, american analog set, car alarm, japancakes, on a letter, sparklehorse, stereolab, the sea and cake. Bookmark the permalink.